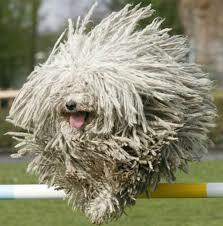 Pets are like our children, but only with hair, fur and feathers. At least, that is what we think from an emotional standpoint. We are emotionally invested with our pets almost as much as our children. Unfortunately, many states have laws that account for pets as property in a divorce or legal separation case. 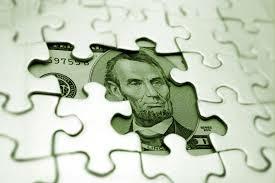 Family law has the goal of re-unifying families, or at the very least to keep stable living conditions for children. While much of divorce court is about splitting up property, children have always been considered different from property – they have been considered minor children with emotional bonds to their parents. However, pets are largely ignored in that sense. Pets have an emotional bond to the family as well – though it may be admittedly more one-sided (humans toward pets) than the human relationships. Divorce is more often messy than amicable, when the two people going through the process have a tendency to fight for virtually everything, including children. However, because there has been a relative lack of clarity involving pets, if there is a need for consideration of the two parties working together, it might have to be for any pets in the relationship. Dogs have been especially featured in legal circles lately in the evolution of pet custody laws, as dogs are considered most popular and high-maintenance for their health and happiness. Courts have been open to awarding custody of dogs as well as visitation in divorces, but many states encourage the couple to actually come up with its own agreement outside of court in terms of where the dog will live, who will care for it and whether the other “parent” will have visitation or even will want it. Is Pet Visitation a Thing? Until pet-custody laws are brought forth in many states, you might assume that you won’t get any help in court in enforcing any pet visitation agreements. It would benefit the pet to have a document negotiated by the parties involving visitation and care of the pet(s) in the family, and have all expenses tracked and shared between the parties. Contact our San Diego attorneys for a consultation about your pets and let us help you form the right kind of agreement that both parties can uphold so your pets have as much care as they normally require. In San Diego, we are truly proud of those who serve in our armed forces, and we are always very welcoming to the sailors and soldiers who return from their military deployments and come back to U.S. soil after fighting for our freedom. Service members and their families make tremendous sacrifices – traveling, moving, and the non-military spouse serving as a single parent with the children, which is often a difficult and daunting life. Sometimes, however, the sacrifice may become too much for the spouse, and the possibility of divorce is high. While the military divorce rate seems to be lower than in the general public, there is a lot of stress on military families that can’t always be overcome. In these cases, it is possible that families may break up while a military member is deployed in an active military zone. When a military family is going through a divorce while one of the spouses is deployed, there are a number of challenges that are not experienced by civilian couples. First, military spouses have questions about residency in which to file a divorce petition, when families are transferred every two to three years from state to state. State of established residency is an important issue in a divorce, and the state of marriage can be irrelevant. Second, there are several protections in place for military members that involve federal government rules and regulations supporting deployed military members. These additional protections can make divorce more difficult than what happens with only state laws serving jurisdiction. Fourth, there is the mental and emotional stress of a divorce. When a service member is deployed and is dealing with a pending divorce, often the stress and emotional confusion of the divorce can impact an active service member in a similar way to a civilian. That military member needs to remain focused on the mission at hand, and having a family stress that potentially distracts that service member increases the risk of harm not just to the service member but to fellow service members with which he or she works. If you are considering a military divorce, make sure to consult a quality San Diego divorce attorney who understands the military divorce process and can walk you through this very delicate process to ensure that the family is happy and the service member can continue to serve our country with honor and distinction. Even when it’s an amicable and mutual split, divorces are often tough on people’s minds and emotions. And adults are supposed to be well-equipped for this. So can you imagine what it might be like for children? The time may come when you have to tell the kids about an impending separation or divorce. The news will be hard to take and will likely be a shock. So much so, that some studies have shown that this kind of life-changing announcement is one of the few that is never forgotten by children, no matter the age. Before you decide to have the talk with your children, make sure to plan it out – even have a set date of the split. Do not approach it when you are “thinking” about divorce; be decisive that it will happen, then have a discussion about what to say and when to say it. Part of the key of when to have the talk is to discuss it with your children at a time when both of you can be available afterward to address questions and to be there to comfort them. The kids will need hugs and comfort to deal with conflicting emotions. Do not tell your kids when on the way to school or work, or right before bed. Have the talk with your children together. This will make it more comforting for the children to see that both parents are doing what is in the best interest of the children. This also helps you both tell the same story and give the same information to the children so there is no need to repeat information later. Be prepared for a lot of questions, especially if your kids are older (7-8 years and older). You may not have to give the children details, but be open to the questions and answer them with as much candor as possible. Resolving to divorce is probably the second-most difficult talk to have, behind only the talk with children about the breakup of the life they know. It’s difficult, but necessary to be open and honest as possible, but it can be hard to know how to broach the subject of divorce. When you contact a quality divorce attorney, he or she can help you develop the right strategy to ensure that your children do not suffer any more than is needed in an otherwise painful situation. Can I Move Out of State During Divorce? If you’re currently going through a divorce, it can no doubt be a difficult time for you emotionally. While divorce can be incredibly stressful, depending on your circumstances, it can also be quite liberating. The transition to independence can be both scary and wonderful when a world of opportunity opens up, moving from one stage of life to another. 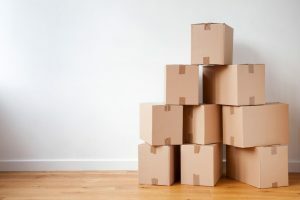 For those seeking a fresh start post-divorce, moving out of state is a great way to start the process. However, is it possible to move out of state while your divorce is still in progress? California divorce law states that in order to file for divorce in a particular state, the individual filing for divorce must reside in the state for 6 months or 180 days. Additionally, living in the specific county where you are looking to file the divorce for at least 3 months is essential as well. If you and your ex-spouse have lived in California for 6 months but live in different counties, however, you may file for divorce in either county. If you don’t meet the residency requirements but want to get the ball rolling on the process, you can still file for a legal separation and then file for an “Amended Petition” once the residency requirement is met. If you and your ex-spouse are childless, there is not much after the residency requirement keeping you from staying within the state, besides making it the paperwork process more convenient. The situation becomes much more complicated, however, when there are children involved. In order to move out of state with your child, you will need to file a petition to the courts for permission to take your children with you across state lines. The guidelines and steps for doing so depend on the custody conditions between the both of you and your child. 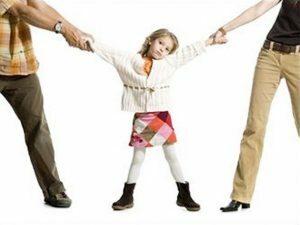 If you are the parent with sole custody, taking your child out of state should be legally uncomplicated unless the other parent attempts to prove the move would harm the child in any way. In the case of joint custody, the parent that wishes to move must prove the move is in the best interest for the children if the other parent doesn’t want them to move. Whether you are thinking about moving away with your kids, or you suspect your ex-spouse may wish to move away with your kids soon, discussing this with your attorney will ensure that your parenting plan will protect your rights and intentions. Ultimately, given the complicated nature of child custody laws, divorce laws, and their intersections, it’s imperative that you consult with an experienced attorney who will give you the best possible advice. Contact our team of divorce attorneys today! 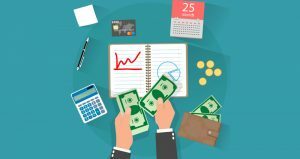 Comments Off on Can I Move Out of State During Divorce? 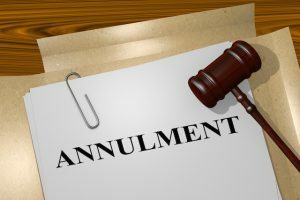 What Are Common Grounds For Annulment? When it comes to relationships, there is the joy of marriage and the pain of divorce. But that is not all there is, at least in legal circles – there is the “clean slate” thinking of annulment. Like, what if we realize there was a reason that we got married that was actually a mistake, having nothing to do with chemistry? What if you found out something after the fact that would have prevented you from marrying had you known about it in advance? The word “divorce” has a negative connotation in social circles, so while divorce might be the more well-known way to end a marriage, sometimes it may adversely impact a person’s ability to have healthy relationships in the future, especially if the person was wronged in a marriage. 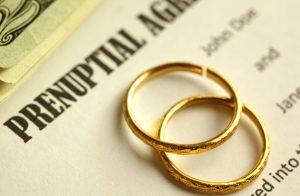 An annulment is a process by which a marriage or other legal contract is annulled, or deemed null and void – as if it never happened. It is a legal way to wipe the slate clean, in effect, and restore both parties to their original legal status as if they never entered into a legal (or marital) contract. In many states, either party can file for divorce for any reason (or no reason at all) in a “no fault’ proceeding, but an annulment of marriage requires certain legal justifications – not because you realize you don’t like your partner. Fraud – This is beyond just lying; this is deceit with the intent to mislead, such as lying about age, or gender, or sexual orientation, or taking on a persona in courtship and being very different once married. Not revealing certain facts (like having an STD prior to marriage, for example) may also be grounds for fraud. Mental deficiency – If one person was found to be not of a “sound mind” at the time of marriage – like if the person has mental illness or was under the influence of alcohol or drugs that impacted judgment. Impotence – The idea of marriage is to reproduce, and a party may seek an annulment if it is found that one or more of the parties is not able to consummate the marriage for some reason. Sometimes we may want a mulligan. With an annulment, it is one way to clean up a mistake and go back in time as if the marriage never happened. If you feel like you were manipulated or deceived into marriage, or if you are being accused of fraudulent action or behavior, seek the services of a quality family-law attorney to protect your right to start over. Comments Off on What Are Common Grounds For Annulment?